This Austrian ski resort is located in the Amade region, one of the largest ski areas in Europe. It's situated at the foot of the Bischofsmutze mountain and Dachstein glacier, meaning it offers great snow for skiing and other snowsports, while its traditional Austrian village atmosphere makes it the ideal choice for ski holidays. Set in a picturesque valley, Filzmoos looks like a quaint mountain village and it offers something for everyone, whether you're headed to the Alps for some serious skiing or a family-friendly getaway. The ski season runs from early December to April and there is a facility for artificial snowmaking if required. Night skiing is also offered. Conditions are ideal for beginners and intermediates. 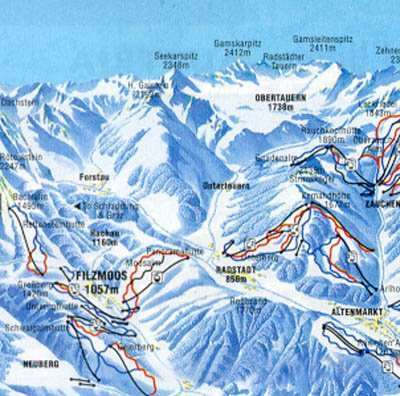 There's a total of 14 runs - nine beginner, four intermediate, one advanced - and 12 km of piste. A total of lifts serve the area (two chairlifts, five drag lifts and six cable-cars), with the highest reaching 1,770 metres and queues are rare. A number of cross-country ski trails are also available. 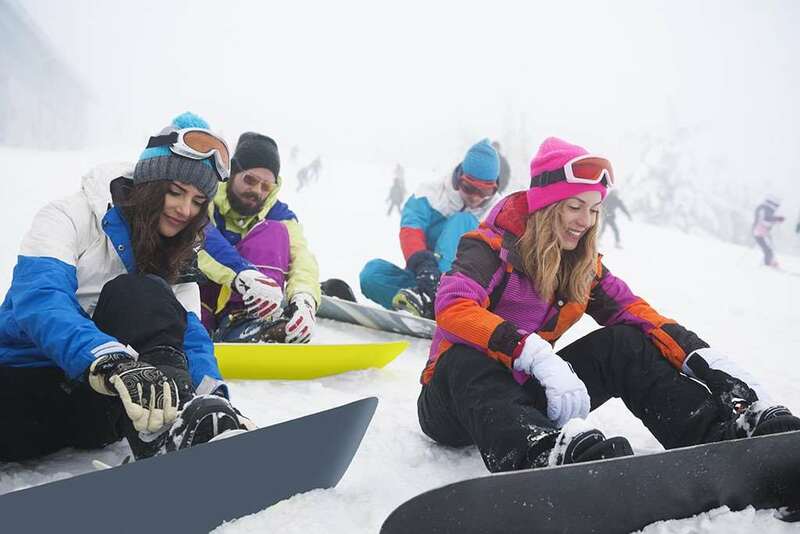 Because Filzmoos is part of the Ski Amade lift pass area, skiers and snowboarders wishing to add a bit of variety can also head to other nearby resorts during their winter holiday and try out the nearly 870 km of piste available on the pass. Throughout the ski season, there's a programme of weekly skiing events, including guided cross-country outings, downhill ski tours and end-of-course races for the ski tours. Although Filzmoos may not be known for its apres ski party scene, the resort offers plenty to do once the sun goes down. There are a number of restaurants serving delicious food ranging from fine dining through to more informal eateries and there are plenty of trendy bars, cosy pubs and nightclubs where you can dance well into the night. Apres ski events are often hosted for children and there is a children's club. Other activities in Filzmoos include ice skating, tobogganing and horse-drawn sleigh rides. There's also a hot air balloon festival in January and balloon rides can be booked from December to the end of February. Salzburg is the closest airport and the transfer time to Filzmoos is about an hour and a half. Other airport options include Hamburg, Berlin, Koln/Bonn, Dusseldorf and Hannover. If you're travelling by train, the nearest railway stations are in Eben im Pongau (11 km away) and Radstadt (18 km away). Onward travel is then available via bus or taxi. Have been visiting this village for last twelve years. Summer walking truly inspiring. Winter skiing in village itself has short but well cared for slopes but access to whole Ski Amade area affords all the challenge needed. Ski schools are second to none. Great place for families. Alms and restaurants friendly and great food. Apres Ski could be seen as a bit tame for some but ideal for families and those who need a hot wine or hot chocolate, cake and friendly places to meet up. Wide range of accommodation choices for all budgets. The many village festivals throughout the year are great fun and sense of community is clearly important to these folk. Love this village, the perfect holiday spot. if you're not interested in clocking up the miles, but in relaxed skiing, good food, fabulous snow walking, great kids school, then this is the place. really had the best time, wonderful and relaxing - and the xcountry-ski was fun too.